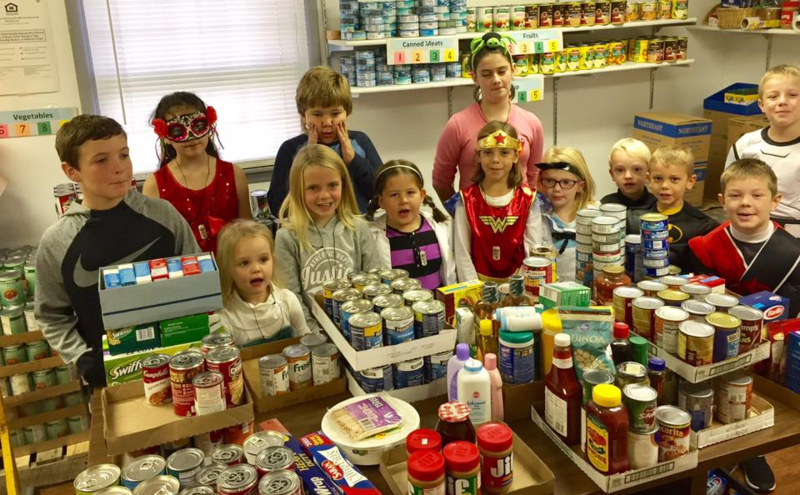 The Sunman Food Pantry is housed at our church hall, and is open to families in need every Saturday, 9 am – 11 am. For more information, to volunteer, or to donate, please contact the church office at 812-623-3410 or stjohns@etczone.com. to benefit our local food pantry. and giving us updates each week during the service. The kids really learn through this “hands on” experience. When at the store, be sure to buy extra for this mission of our Sunday school! Thanks!